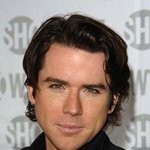 At age 12, Christian Campbell kicked off his professional acting career with the role of Nick in Herb Gardner’s “A Thousand Clowns” (1984), staged at the Annex Stage Dinner Theater. Five years later, he acquired a first screen role as Larry in the TV movie Clarence (1989). It was then followed with the role of Todd in an episode of “Degrassi Junior High” (1990) and its spin-off TV film, School’s Out (1991). After starring in the TV movie City Boy (1992) and Born to Run (1993), Campbell had the recurring role of Danny Cardigan in the sci-fi series “TekWar” (1995-1996). Moving forward, the actor became a regular in the short-lived teen drama series “Malibu Shores” (1996), playing Teddy Delacourt. 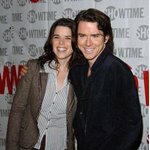 In 1998, Campbell collaborated with sister Neve to co-produce and co-star in the romantic comedy Hairshirt, where he appeared as Adam Lipton. Campbell then gained a great deal of popularity after carrying out the leading role of Gabriel in the indie film Trick (1999), opposite John Paul Pitoc and Tori Spelling. The performer was also praised thanks to his stage portrayal of Jimmy Harper, a young, clean-cut teenager befriending a group of degenerate drug addicts, in the L.A. musical version of the 1930 cult hit movie, “Reefer Madness” (1999). Soon, he won a Los Angeles Drama Critics Circle award for Best Lead Performance. Campbell later recreated the role in the off-Broadway staging of the musical (2000), as well as in its movie version, Reefer Madness: The Movie Musical (2005, earned a Satellite award nomination for Best Actor). 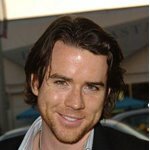 On screen, besides taking part in the fall drama series “The $treet” (2000-2001, as Tim Sherman), Campbell was seen as drummer Lee in the drama comedy about an underachieving rock band, Thank You Good Night (2001). He also made an episodic performance in the sci-fi drama series “Jeremiah” (2002), had the starring turn of Charlie Kilworth in the TV drama The Piano Man’s Daughter (2003) and briefly joined the cast of the longtime soap opera “All My Children” (2004-2005, played Robert ‘Bobby’ Thorne Warner). During July - September 2005, Campbell toured across the United States and to London with a role in the play “Tick, Tick... Boom.” The same year, he also served as the producer for his sister’s New York stage debut in Michael Weller’s “Loose Ends” (2005). Campbell recently appeared as Peter Webster in the new drama comedy series “The Book of Daniel” (show began in 2006), along with actors Aidan Quinn, Susanna Thompson, Ivan Shaw and Alison Pill. Also in 2006, the actor acted with Taryn Manning in the made-for-TV drama thriller Banshee, for director Kari Skogland. Campbell’s fans will see him in the Michael Knowles-directed drama movie One Night (2006) and the thriller Pinion (2006, as Bud). He is also set to star as Lionel in the comedy feature Ibid, slated for release in 2007.